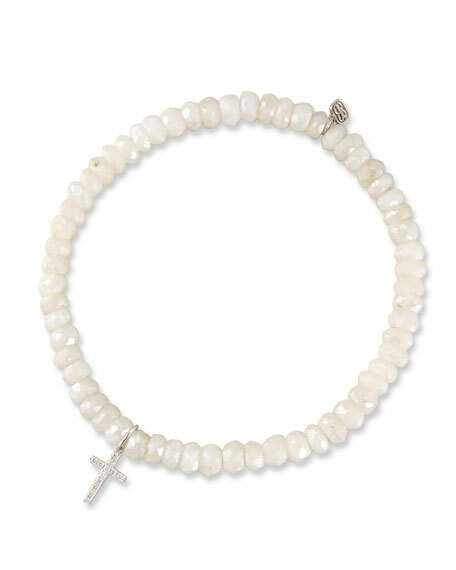 Sydney Evan quartz rondelle bracelet with diamond cross. Polished 14-karat white gold cross charm and logo charm. 5mm faceted mystic white quartz rondelle beads. Small cross charm with white diamond pavé. 0.06 total diamond carat weight.